Wash and dry arugula leaves. 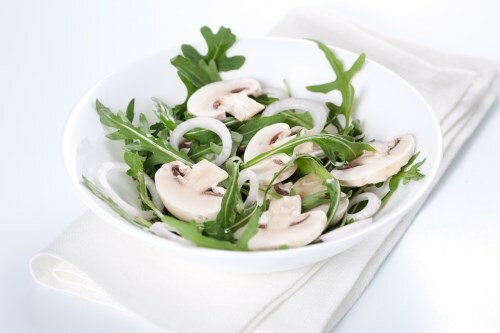 Arrange leaves on a large plate and layer with onions, mushrooms and tomato. Whisk together melted extra virgin coconut oil and lemon juice. Season to taste with salt, and pour over the salad.